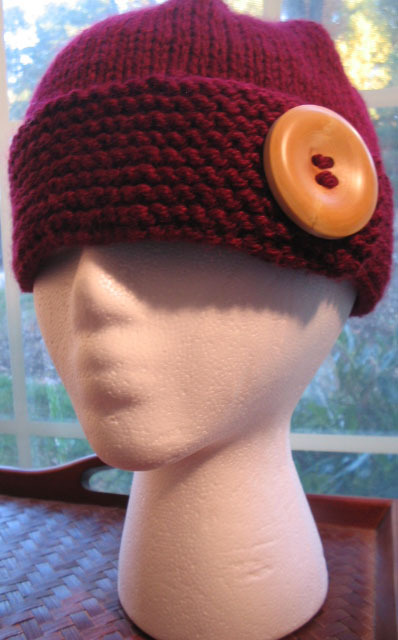 I've been knitting stuff I can't tell you about. Just know that these fingers have been a' workin'. 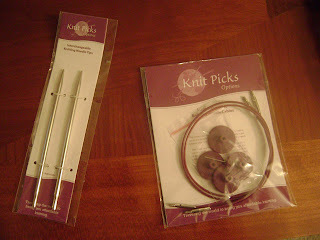 Last week, I discovered that there was a problem with my KnitPicks Options needle set. I ordered the set back in January, but I just discovered that I received three size 6 needles, and one size 5 (The size 5 was paired with a size 6 needle instead of another 5). I also discovered that I was missing a 24" cable. I called the company and spoke to a pleasant woman who said that they'd just send me a set of fives and another 24" cable. I received those replacements today. Talk about fast service. I didn't expect two 24" cables, so that was a surprise. It's funny, but when I discovered that there was only one size 5, I felt all incomplete *lol*. So you know I was happy when they arrived. 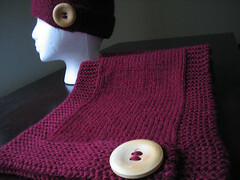 I'd always heard/read good things about the customer service at KnitPicks. Now, I got to experience it first hand. I must leave you now. I feel my sleeping pill working and I don't want to wake up drooling with my face smashed into my keyboard. Don't pretend that you don't drool.